Torn Meniscus Symptoms and Diagnosis - Jeffrey H. Berg, M.D. 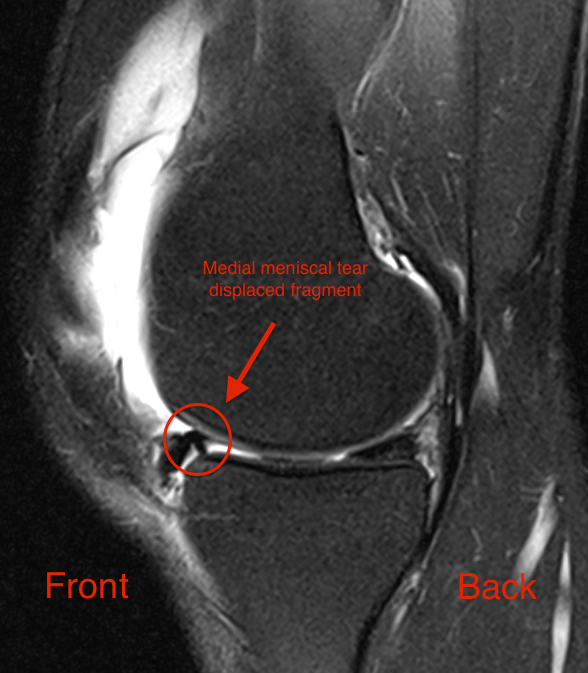 In an earlier post, I discussed the definition and causes of a torn meniscus. Now let’s discuss the torn meniscus symptoms and their diagnosis. First, let’s review a little about the meniscus. 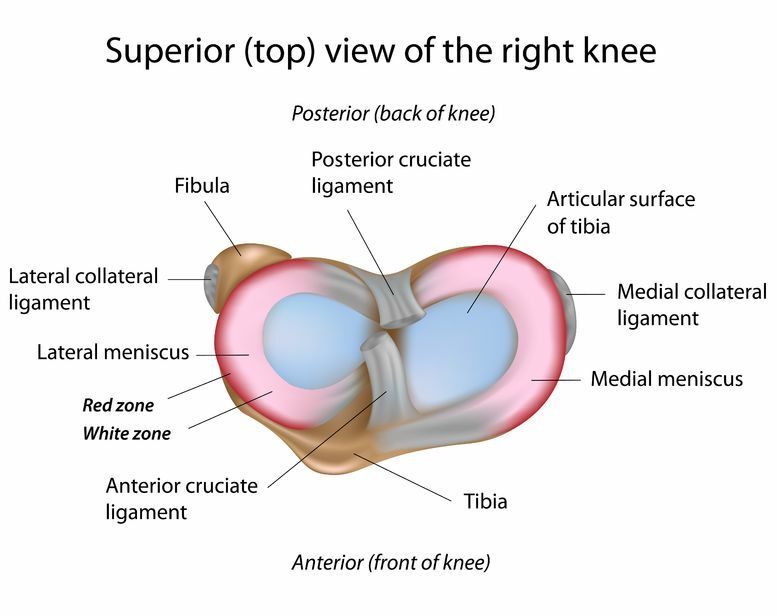 There are two menisci in a healthy knee. Both are rubbery like c-shaped structures that lie between the thighbone and the shinbone in the knee. The inner meniscus (located closest to your other leg) is called the medial meniscus. 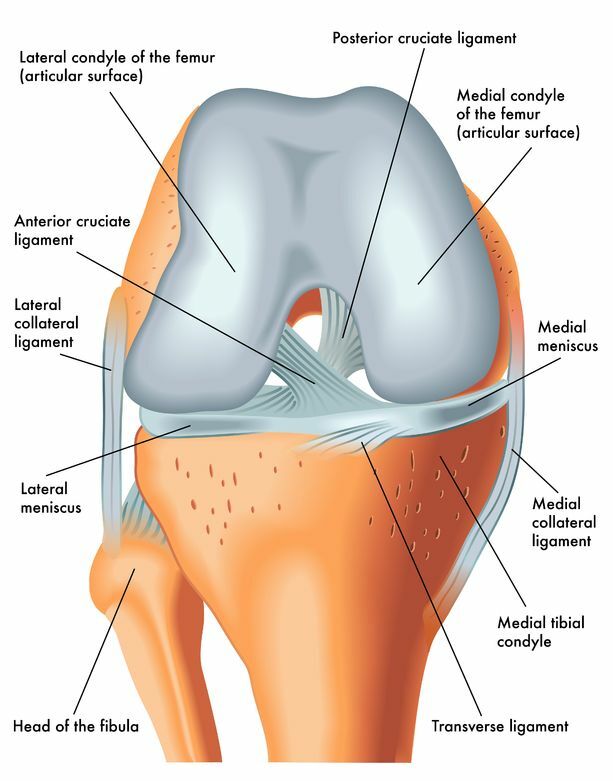 The outer meniscus (located on the side of your knee furthest from your other leg) is called the lateral meniscus. Both of them help protect the cartilage on the ends of the two major bones of the knee and also assist with knee stability. Unfortunately, the meniscus can tear. Now let’s take a closer look at the torn meniscus symptoms. Depending on the mechanism of injury, the age of the injured person and the type of the meniscal tear, the torn meniscus symptoms can differ somewhat. Pain. Usually on the same side of the knee as the tear. Often with twisting of the knee. Fluid inside the knee (effusion). When present, it is often only a small amount of fluid. A large amount of fluid is much less common and can be a sign of a different problem. Occasional clicking or catching. Also typically on the same side of the knee as the tear. Loss of motion. The amount can be variable depending on the type of tear. Occasional giving way (sense of instability). Usually due to weakness or in response to pain. Now let’s review the variations of torn meniscus symptoms that may exist. In younger people, the meniscus is usually firm and well fixed to the knee. Therefore, it requires more force to cause a tear. As a result, tears in this group often occur during sports or other activities that cause similar twisting and bending motions to the knee. Since these tears often require trauma to occur, they can lead to larger displaced fragments of meniscal tissue. Other injuries of the knee may also occur at the same time. Additionally, since these injuries are usually more traumatic, the torn meniscus symptoms are usually greater. There may be either a slow or rapid onset of pain which can be significant. If there is fluid in the knee, it can be a larger amount and all of this can lead to a greater loss of knee motion than may be seen with meniscus tears that occur by other means. In older people, the meniscus is softer, weaker and attached less firmly. As a result, meniscal tears may occur more easily. The tears can simply come from walking, squatting or performing any daily activity. The torn meniscus symptoms often begin well after the injury, once inflammation develops. in fact, usually an injury will not even be noted. As a result, the symptoms are frequently more mild with much less acute pain and usually less swelling and stiffness. Now let’s take a look at how these tears are diagnosed. The diagnosis usually starts with an exam by your orthopedic doctor. I usually can get a good sense of the diagnosis simply by speaking with you. Bruises on the surface of the knee bones can often cause similar symptoms but these symptoms will usually resolve after 4 weeks, even if untreated. Torn meniscus symptoms may diminish or resolve with rest and anti-inflammatories, but will often recur once the rest and anti-infammatories end. Often the exam reveals local tenderness and frequently there will be some fluid inside the knee. Occasionally twisting the knee will reproduce the symptoms. If an X-ray confirms that no other cause for the symptoms exist (arthritis or fracture, for example), the diagnosis is usually evident. At times, when the diagnosis is unclear or for preoperative planning, an MRI can confirm the diagnosis. But for a well-trained Orthopaedic Sports Medicine specialist, an MRI is not always needed to make the diagnosis. If you have any of the meniscus tear symptoms discussed above, it is usually not an emergency. But surely if they persist, worsen or are associated with other symptoms, you should get a prompt evaluation by your Orthopaedic Sports Medicine doctor.